Here’s a simple and quick lunch for all you apple lovers. 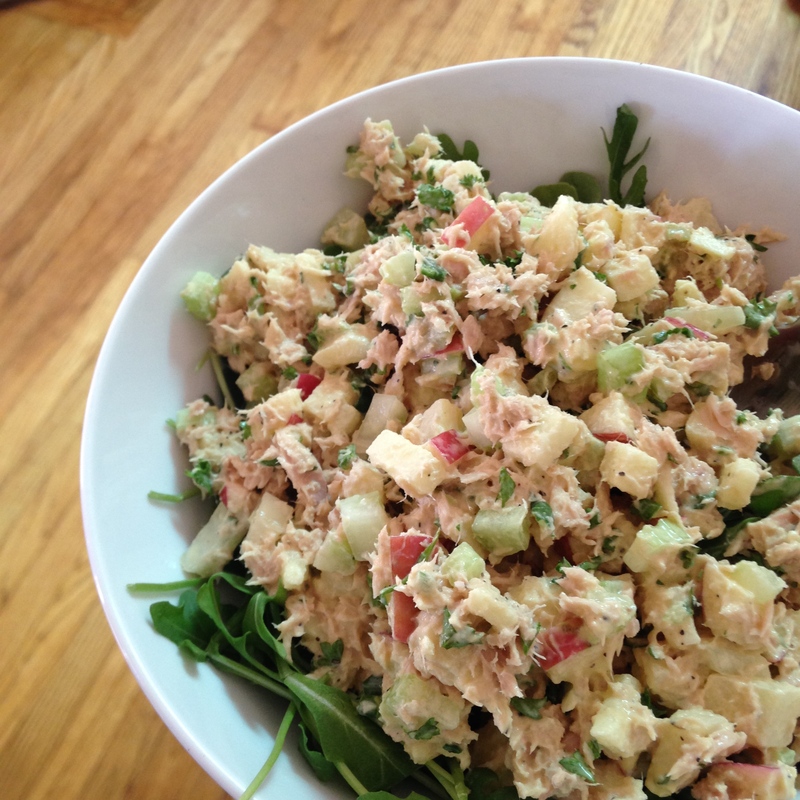 Cans of tuna are a great pantry staple for lo-carbers, busy professionals, parents, students, and paleo-eaters alike. You can often mix together a great meal with a few things in your fridge! In a bowl, mix all ingredients except for arugula. Serve on top of arugula. if you need it to be egg-free, this would also be yummy with some mashed up avocado and olive oil! if you need more protein, add an additional can of tuna!